It’s time to get dressed but Rudy is gone in a flash—Mom can’t even get a towel around him. Boing! Around the living room he goes! Whoosh! Under the table – catch that baby! Scoot! Where’s he now? Nancy Coffelt and Scott Nash bring us a hilarious share-aloud adventure that everyone can identify with: a baby’s au naturel adventures. Scott Nash is the illustrator of Catch That Baby! and Uh-oh, Baby! He is also the award-winning illustrator of the Flat Stanley series and Saturday Night at the Dinosaur Stomp, by Carol Diggory Shields. His design firm, Nashbox Studios, has lent its expertise to such kid-centric brands as PBS, Nickelodeon, and Disney. He lives in Maine. Visit him online at ScottNash.com. 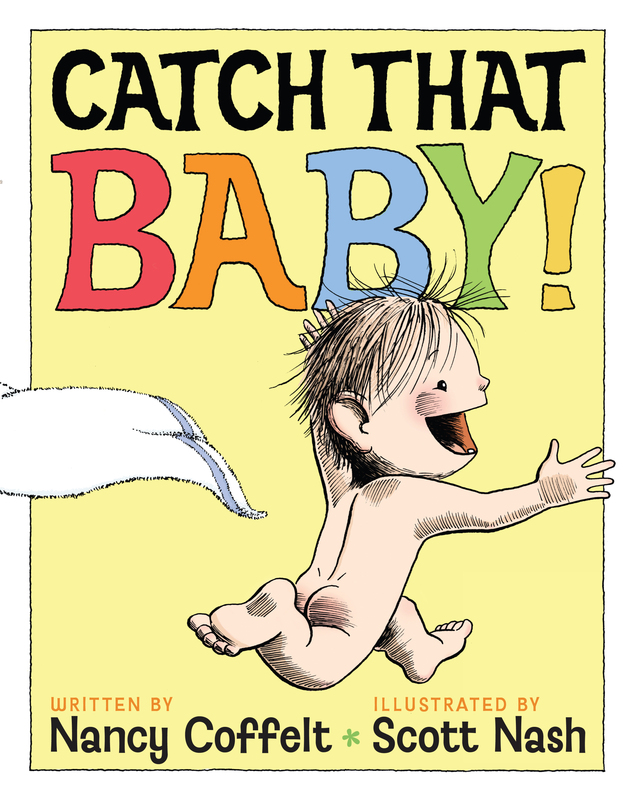 Book Cover Image (jpg): Catch That Baby!